New Delhi: The 4th Fare Fixation Committee (FFC) constituted by the Government of India for the purpose of recommending the revised passenger fares for the Delhi Metro has invited suggestions from the general public in this regard. The notice inviting suggestions from the Metro passengers has also been displayed at major interchange Metro stations of the Delhi Metro Network namely Rajiv Chowk, Kashmere Gate, Mandi House and Central Secretariat at appropriate locations. The suggestions can be sent through email at [email protected] or by Post to the Chairman, 4th Fare Fixation Committee, Metro Bhawan, Barakhamba Road, New Delhi-110001. The last date for sending suggestions is 30th June 2016. Set up under Sections 33 & 34 of the Metro Railway (Operations and Maintenance) Act, 2002, the Committee has been given three month time from the date of assumption. The members of the 4th FFC are Justice M.L.Mehta, retired Judge of the High Court of Delhi, Shri K.K.Sharma (Chief Secretary, G NCT Delhi) and Shri Durga Shanker Mishra (Additional Secretary, Ministry of Urban Development). The committee assumed the charge on 9th June 2016 and has to submit its report by 8thSeptember 2016. The last Fare Fixation Committee submitted their recommendations on Metro fares in 2009. 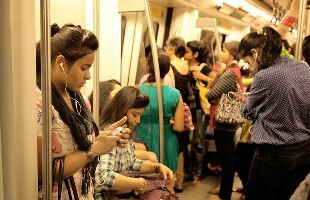 The Delhi Metro’s fares were last revised in November 2009 when the minimum fare was revised to Rs. 8 from Rs. 6 while the maximum fare was revised to Rs 30 from Rs 22. Since then, DMRC’S network has increased from 90 km to 213 km while fares have remained the same and operating expenses have gone up considerably. Fares doubled will b a burden on commuters who R already facing fragiled transport system in capital n NCR. Perhaps gradual increase will b accepted, if not public will have no option.This may lead to termoil n lawn order problem .Committee Shud luk into all these aspects b4 implimenting new fares. PERHAPS GRADUAL INCREASE IS SUJJESTED. According to me DMRC should look for the alternative source of the income instead of putting burden to the public.As i have noticed there are no advertisement on the Metro station,concourse and on the entry or the exit of the Metro.Although there are advertisement kiosk,which are left without advertisement,and previously there were eating stalls(kiosk) on every station but now a days they are also removed.Apart from that in Metro trains you have put a section of the advertisement in each and every coach but there seems to be only promotional advertisement of either Delhi Government or the central Govt. If you want to increase fare then you should do it gradually and slowly.If the fare are increased by double then it will be a revenue loss to DMRC also as people will prefer to drive their own vehicle instead So before increasing the fare you shud consider all the aspect and for the sake of the common man increase the fare as less as you can.